When Models Own released their new Ice Neon's collection a couple of months ago I really liked the look of them. I haven't really tried a Models Own nail varnish before and I also haven't tried a neon nail varnish. Knowing how reasonably priced Models Own nail varnishes are I thought I would give a couple a try. Lois Lemon and Toxic Apple are not really my kind of shades, I'm much more into reds, pinks and purples when it come to nail varnish, so my options were Pukka Purple, Pink Punch and Bubblegum. I decided I wanted a pink colour so I headed to Boots and found I couldn't decide between Pink Punch and Bubblegum. After standing there for about 5 minutes I finally decided to go for the one with pink in the name, however when I got this home and tried it on I thought that this was more of an orange than a pink colour. So on another trip to Boots I also picked up Bubblegum. 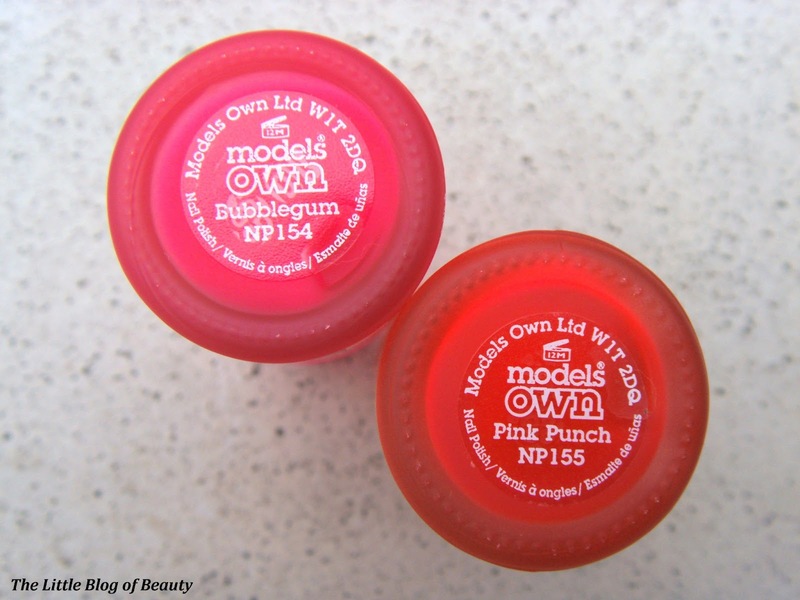 The swatches on the Models Own website show Bubblegum as a bright barbie type pink and Pink Punch as a deeper more red type pink. I personally think that Bubblegum is closer to the swatch used for Pink Punch and as I've said, that Pink Punch is more of an orange type colour. I do like both colours, but out of the two Bubblegum is my personal favourite. I found that as you apply these they start to dry quite quickly, so you need to try and cover the nail as quickly as possible or it can go kind of blotchy. I don't know whether this may be something to do with how hot and humid it is at the moment, I may try keeping these in the fridge to see if this helps at all. Models Own do recommend that you keep these in the fridge to stop the colour from fading, but this might be more to do with the 'ice' branding than a necessity for prolonging the fluorescence. You can get a good coverage with just one coat but I apply two just to make sure it's perfect! 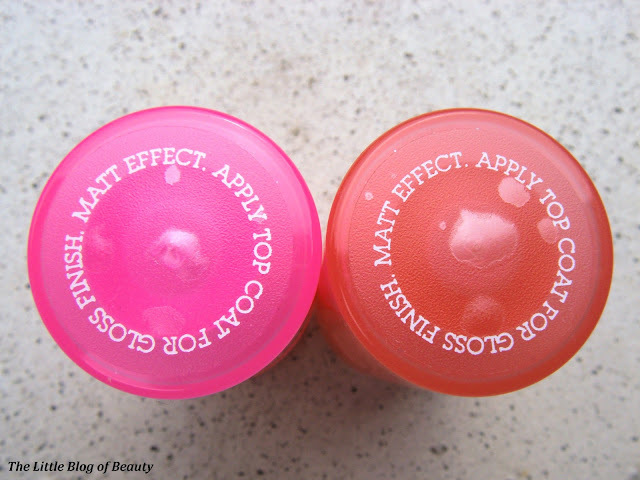 As it states on the lids these have a matte effect, but to make them glossy you just add a top coat. Despite how quickly these start to dry while you're applying them I find they actually take quite a while to become fully dry and if you start using your hands too quickly you'll be left with smudges, dents and imprints. However, I just apply Seche Vite over the top which gives them a fantastically glossy finish and then they're also fully dry in no time at all. Overall, I love these! 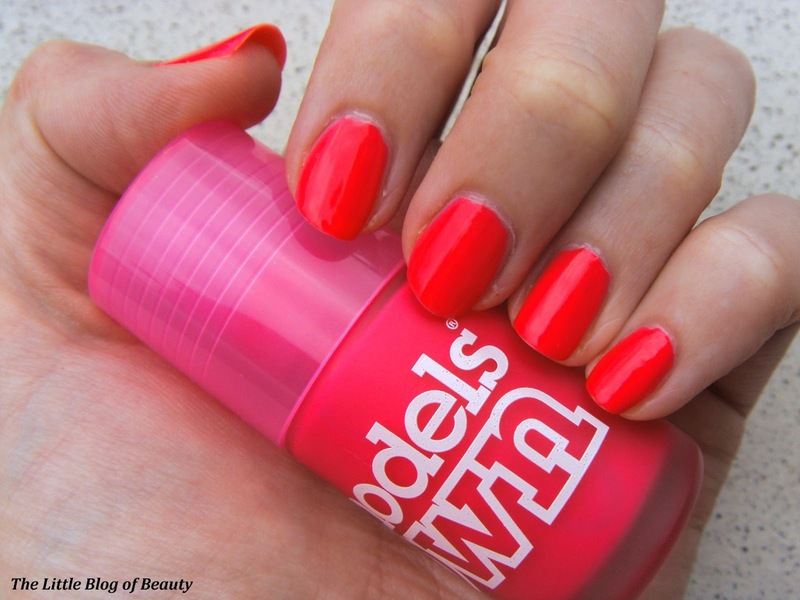 They're very reasonably priced, easy to apply and are super neon, which is perfect for summer. Unfortunately my pictures don't show just how neon these actually are. I also really like the frosted bottles which look a little bit different and stand out in my nail varnish collection. Models Own Ice Neon nail varnishes are £5 each. They're lovely, I love models own polishes!